9 I John , your brother and fellow partaker in the tribulation and kingdom and patience in Jesus, was on the island called Patmos because of the word of God and the testimony of Jesus Christ. 10 I was in the Spirit on the Lord’s day , and heard behind me a loud voice like a trumpet , 11 Saying, I am Alpha and Omega, the first and the last . Write on a scroll what you see and send it to the seven churches which are in Asia : to Ephesus , Smyrna, Pergamum , Thyatira , Sardis , Philadelphia and Laodicea. The first part , things you’ve seen . Revelation 1:9-20 . The second part, the things that are , Revelation 2 and 3 and the third part , the things that shall be hereafter , Revelation 4-22 . The first part revolves around John’s vision on the island of Patmos. The portion for our study is the first section of this part. We might call it the circumstances of vision. Several things worth taking into account within this verse. We see that the person who received the vision identified himself as John. This is the apostle John as already mentioned previously , the same who wrote the Gospel that bears his name and the three letters that also bear his name. This John is the simple and humble fisherman , son of Zebedee and brother of James . His life took a 180 degree turn when he met Jesus . John is the beloved disciple , who had the privilege to sit down on the side of Jesus at the Last Supper . Now, when you receive the vision was an old man, must have had more than 90 years . But note the humility of this great man. By identifying himself does not put the big title of Apostle , and chest out , but chooses to describe himself in a simple but beautiful way . It’s just your brother . The greatness of character do not give titles to be acquired but the actions are performed . Brother is the most sublime epithet that a believer can be prefixed to his name. The great apostle John preferred to simply call brother. Also John testified that other believers is a partner in the tribulation and kingdom and patience of Jesus Christ . John had received a dose of trouble in the work of the Lord and was a partner of all those who are afflicted in the Lord’s work . But John was also part of the great kingdom of the Lord is King and therefore was a partner of all those who are also part of that kingdom. Also Juan longed with his whole being back to see her beloved Jesus Christ and therefore is a partner of all those who patiently await the coming of our Savior. Then John gives us a detailed report of the situation when he received the vision. He says he was on the island called Patmos. I was on vacation. 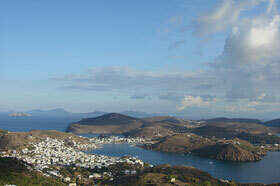 Patmos Island was not an island that someone would go willingly . It was a barren island , volcanic , rocky, with little vegetation. A bleak about 24 kilometers from Ephesus on the Aegean sea. Measures just 15 kilometers long and 10 kilometers wide. On this island a prison for dangerous criminals was established. Alcatraz was the first century . It was equivalent to being in Siberia in winter. There were the galleys where prisoners were worked to exhaustion without the least convenience . The power was scarce. Inmates dressed in rags . Many of them had to sleep in damp, dark caverns. Some of the prisoners were so dangerous that it was better to be as far away from them. Loneliness was the best companion . Would you like to be in a place? Well, John, 90 years came to this place . Why? The text says that it was by the word of God and the testimony of Jesus Christ. John came to the island as a result of persecution by reason only follow and serve Jesus Christ . Tradition has it that the Roman emperor Domitian took the ferocious prisoner Juan and to end his life ordered to be thrown into boiling oil. However, John did not die. In a miraculous way , his life was preserved . Domitian was so frightened by this fact did not dare to try to kill him again , but he banished the barren island of Patmos. In this deserted island surrounded by many dangers , Juan could have complained against God. Maybe John could have said to Jesus : I followed you and I have served all my life until old age and now that I am old Why you treat me so ? Or maybe John could have said to Jesus : I ‘m too old . It’s time to give me some comfort in my old age . But John does not think so and prayed . John knew that follow and serve Jesus has its price. That price is persecution or misunderstanding or opposition , and John was always willing to pay . Follow and serve Jesus does not guarantee that we will live comfortably in this world. When John says he was in the Spirit on the Lord’s day , does not mean that John was filled with the Holy Spirit in a sun day on a Sunday service . On the island of Patmos because there was no church other than Juan had not believers. In addition , John was filled with the Holy Spirit also from Monday to Saturday , not only on Sundays. 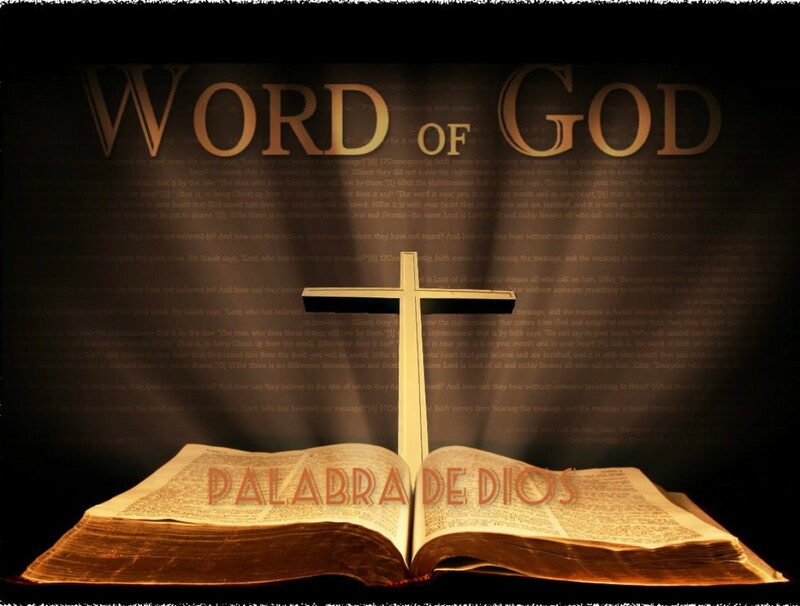 What John says is that by the power of the Holy Spirit was supernaturally transported the material to the celestial sphere , where he received the revelation of Jesus Christ to be recorded in a book area. When John says that was the Lord’s day , it means that the events that were seen are related to what the Bible calls the Lord’s day , which is something different on Sunday . On Sunday in the Bible is known as the first day of the week. The Lord’s day means the period of time in which God will pour out His judgment on the unbelieving world and impose their sovereign government. Seen this way, the day of the Lord extends from the beginning of the tribulation and ending with the Great White Throne judgment , including the second coming of Christ and the millennial kingdom. If some of these terms are a bit dark for you , do not worry as we proceed with the study of Revelation will become clearer . The first experience of John in the Spirit on the Lord’s day , is heard behind him a loud voice like a trumpet . This means it was a clear and intelligible sound. You could understand perfectly . The message echoed in the ears of John. 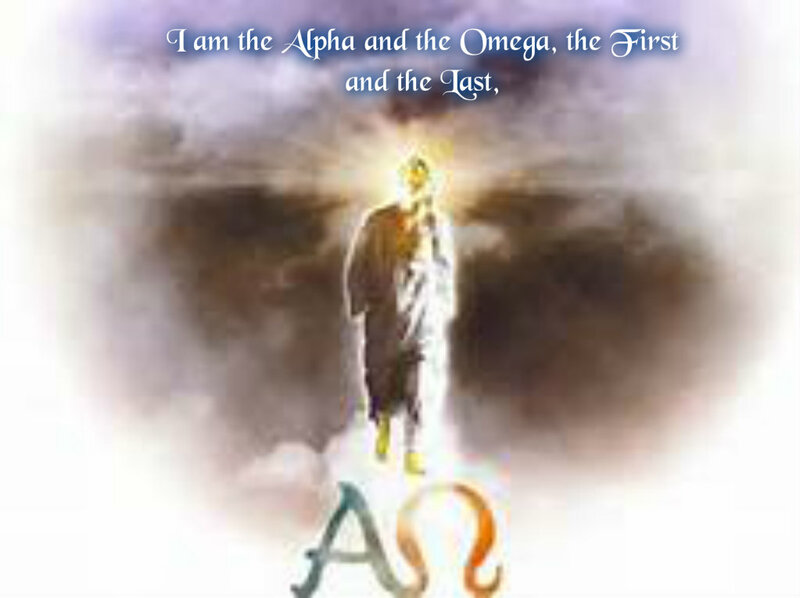 It read: I am the Alpha and the Omega, the first and the last . This is how Jesus described himself. It shuts everything.